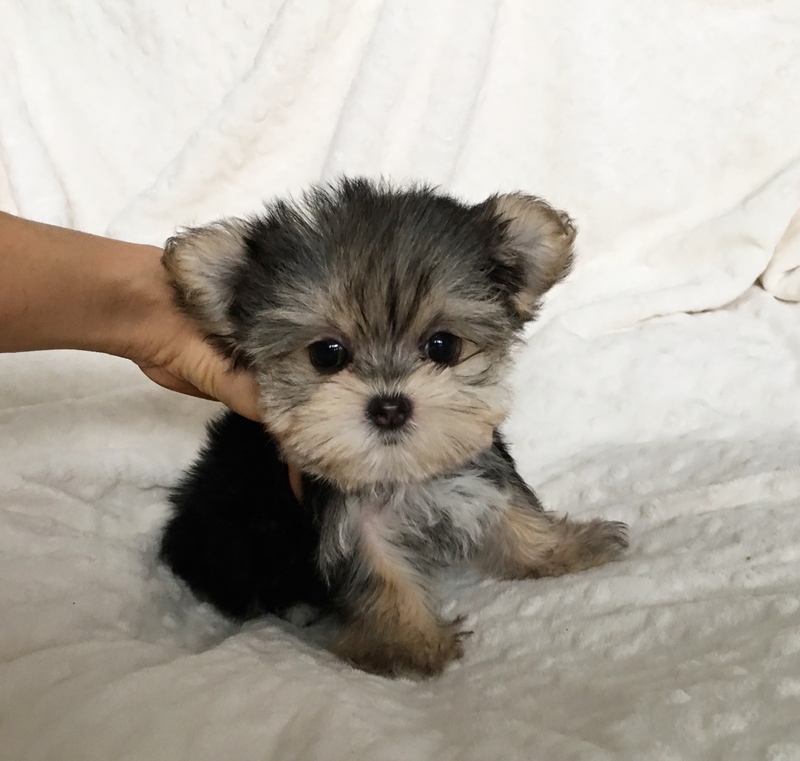 This is Charlie, a perfect little morkie puppy. He is 10 weeks old, and looks like a little wind up toy. He is short and cobby, short nose, perfect face…and is unbelievably cute. He is very sweet, doesn’t bark, and will melt your heart. He has started potty training. She comes with a one year health guarantee. He is up to date with his shots and ready for his new home. If you’re interested, you can email us at iheartteacups@gmail.com or call (805) 613-7868 SERIOUS INQUIRIES ONLY. Thank You!! CLICK HERE FOR MORE PICS OF CHARLIE!! !